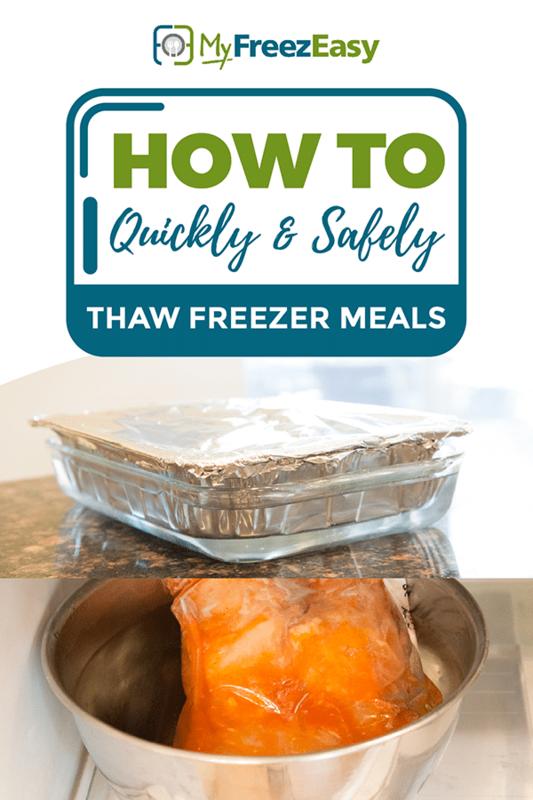 The best method for thawing frozen meals is putting in the refrigerator overnight, or sometimes up to 2 days. I prefer to thaw them this way, but I’m also a busy mom with 4 boys and I often forget to pull them out on time…even when it’s written on my calendar or to-do list. 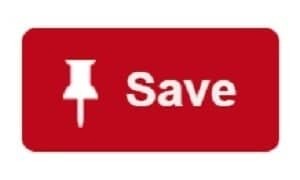 If you do forget, you can take them out that same day and thaw in a bowl of lukewarm water. It will quickly thaw this way, the time dependent on the thickness of the baggie or container. When I ‘quick-thaw’ things, it can take anywhere from 20 minutes to an hour. Important Note: If utilizing the quick thaw method for raw meats, please don’t leave raw meat out on the counter in a bowl of warm water. 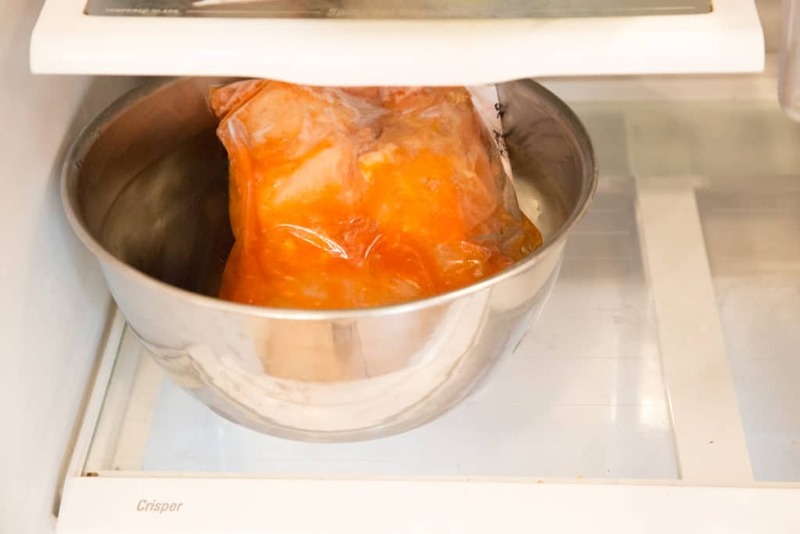 Always let raw meat thaw in the refrigerator to keep it at proper cold temperatures. You can thaw raw meat in a bowl of warm water in the refrigerator if you need it to thaw out quickly.